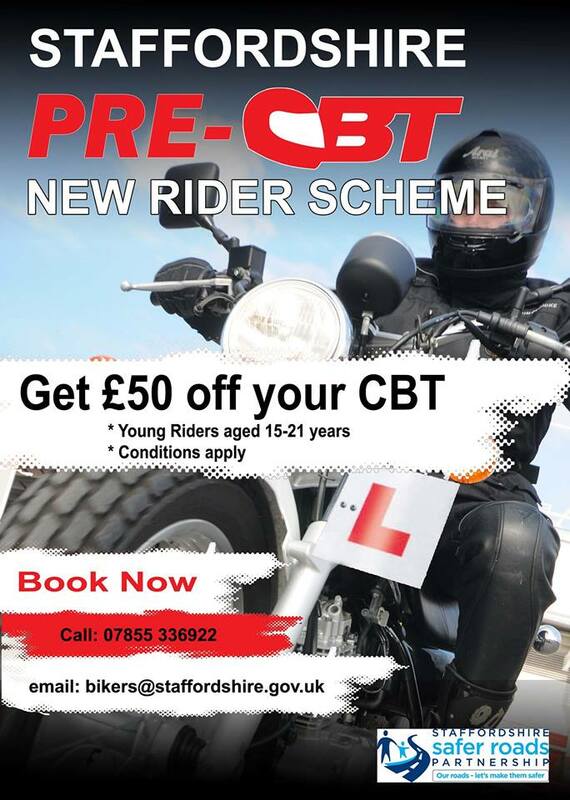 The ‘Pre-CBT’ Scheme is an initiative aiming to reduce young rider casualties across Staffordshire by better preparing young bikers for the road. 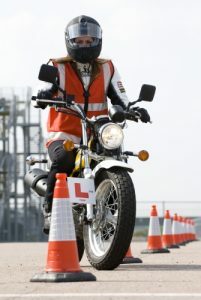 The scheme offers potential young riders 15 – 21 years of age the opportunity of receiving a voucher giving them £50 off their CBT if they attend the Pre-CBT workshop. Participants can be new to riding doing their first CBT, looking to do a CBT course once they hit the age to ride or completing their refresher CBT and doing it for their second time. Places are limited to fifteen attendees at each venue which must be booked prior to attendance by contacting us by email or by contacting Kevin Wilcox on 07855 336922; we are taking bookings now. The workshop will provide information on the Highway Code, Rules of the Road and all issues that bikers face. Young riders will participate in a short evaluation which will be used to assess the effectiveness of the scheme. If the evaluation results in a positive outcome we hope to extend the scheme county wide, however this may be prioritised by area. 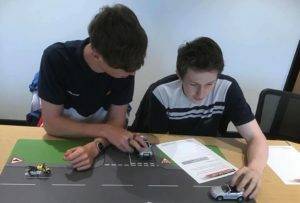 We are sure that parents of potential young riders or current CBT riders would like to see their children being as prepared as possible when embarking on their riding life, so we hope that parents want to encourage their children to apply for the scheme, as not only will it save money but will provide them with the information to keep them safer on the road.